We measure visitors to our website using Google Analytics. This records what pages you view within our site, how you arrived at our site and some basic information about your computer. All of that information is anonymous – so we don’t know who you are; just that “somebody” visited our site. We may send you email notifications regarding our services (such as quotes, invoices, etc) or other which you have specifically requested (such as newsletters or notifications when a report is completed). You have the ability to opt out of any of this communication at any time by contacting us via email. We will never provide your personal information or email address to any third parties except where they are specifically employed to help deliver services contracted (e.i. shipping companies) as per order(s) details. Besides Direct Bank transfer to our account we also use online payment providers. The third parties we use are PayPal (to process credit cards and accept online payments). these companies will have access to your personal and order(s) information. We share information with these companies only to the extent necessary for the purposes of processing payments you make during your booking or via our website. Paypal: Transactions will be made directly through Paypal Gateway. When paying by credit card, EkoToy themselves do not ever have any access to your credit card details or electronic transaction details. 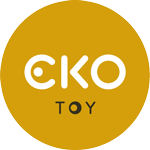 EkoToy take many precautions to prevent the loss, misuse or alteration of your personal information. Whilst we take great care to ensure any confidential information remains protected we can’t guarantee the security of data sent over the Internet.